Burrito lettuce cups! Have you ever seen anything so ingenious?! I came up with the idea all by myself*. 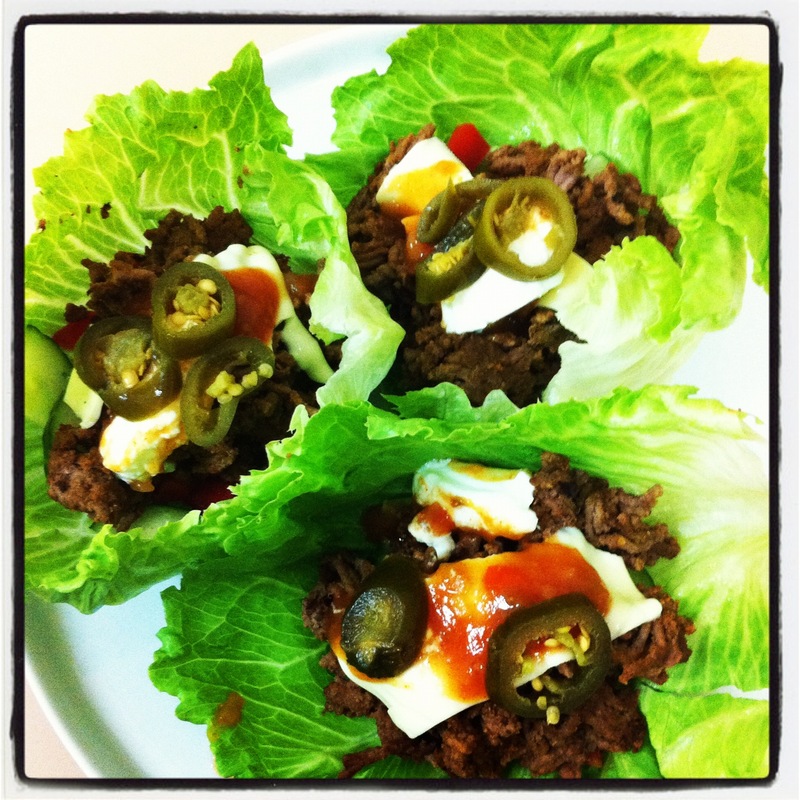 This entry was posted in Food and tagged Carb Free, Lettuce Cups, Lunch, Lunch Idea, Mexican, Recipe. Bookmark the permalink.